Day 2 started with rain and a lot of rain. Packing the van and the pod is not fun in pouring rain but my husband stood on the step stool and just did it. We headed west towards Murdo. That was our first stop. 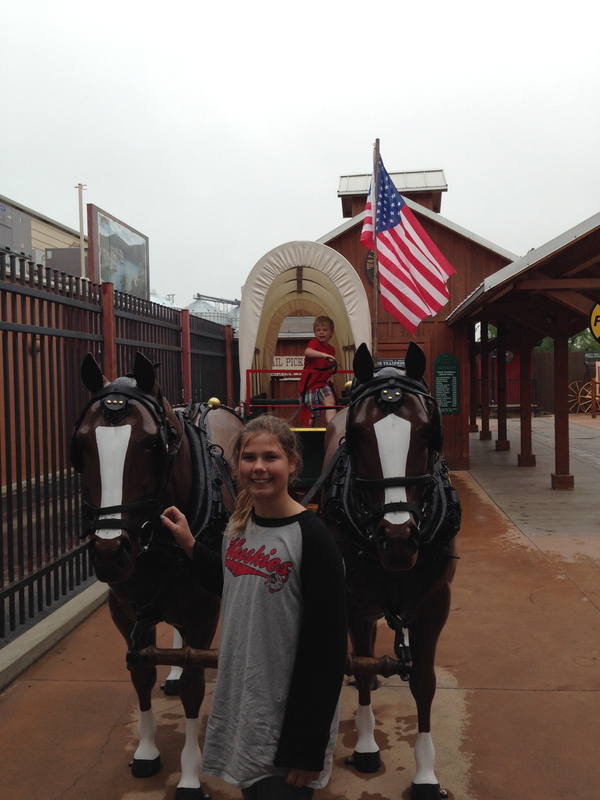 We had decided that we wanted to see and experience 1880 town. When we pulled into the town it was raining and closed. 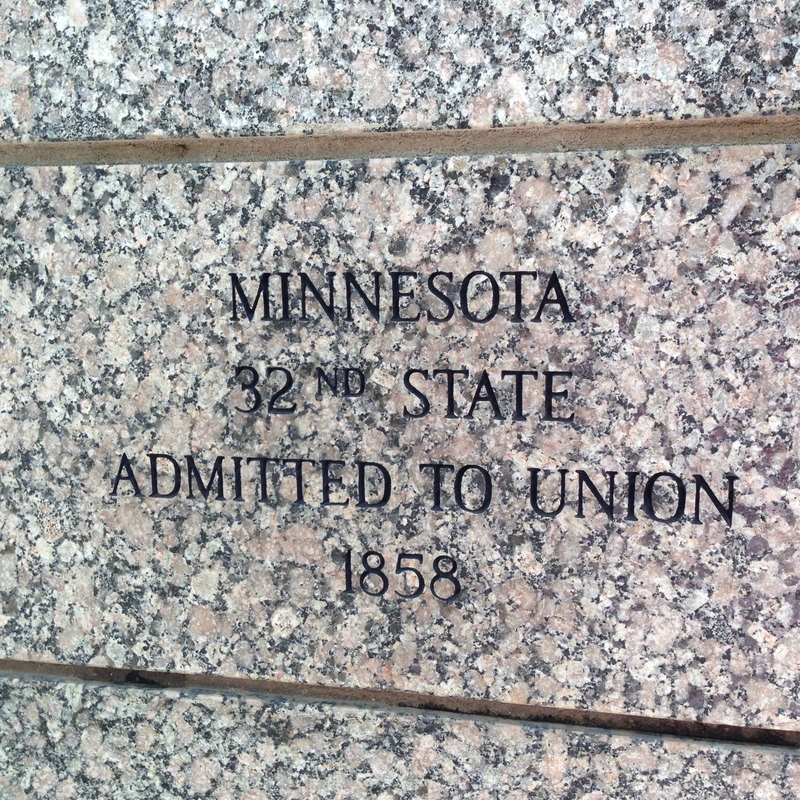 Oh Well we will hit 1880 town later in the trip. 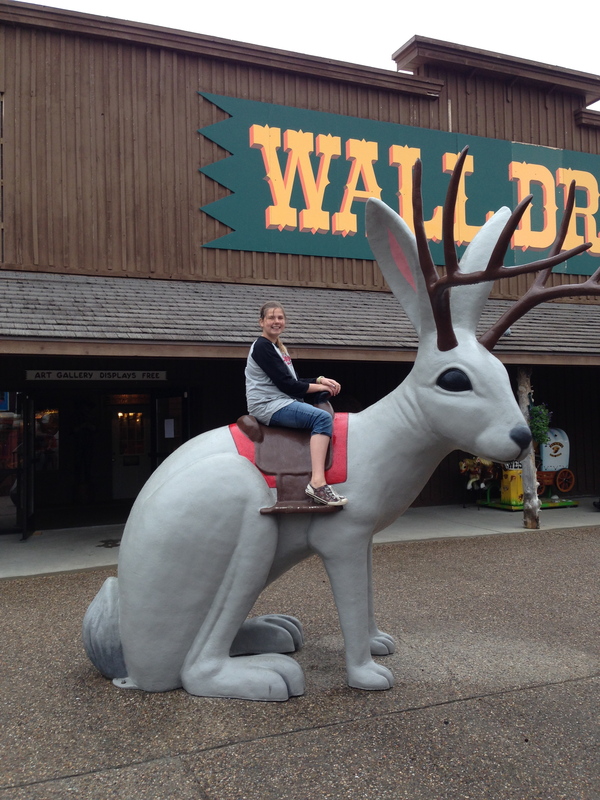 So we kept plugging along in the rain towards Wall, the magical place of Wall Drug. 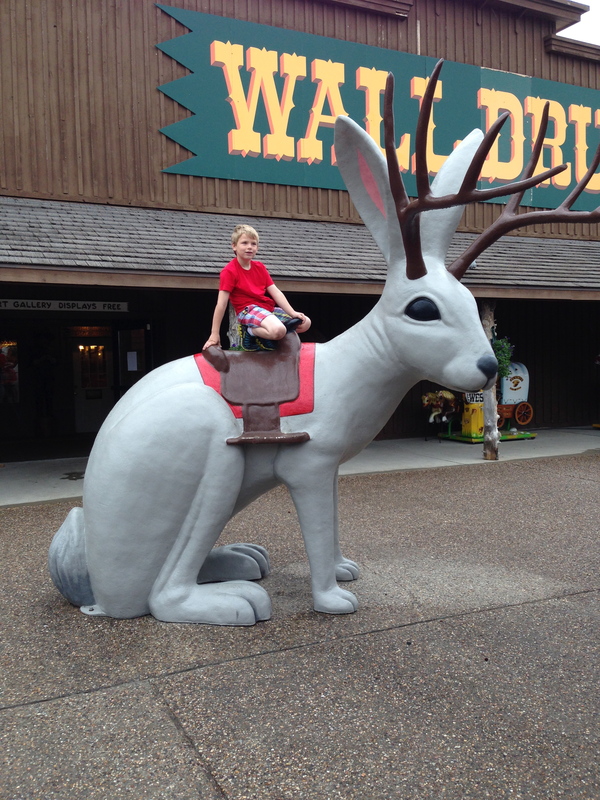 We got to Wall Drug and it wasn’t very busy and it was only 45 degrees. Very cool but the rain had stopped. 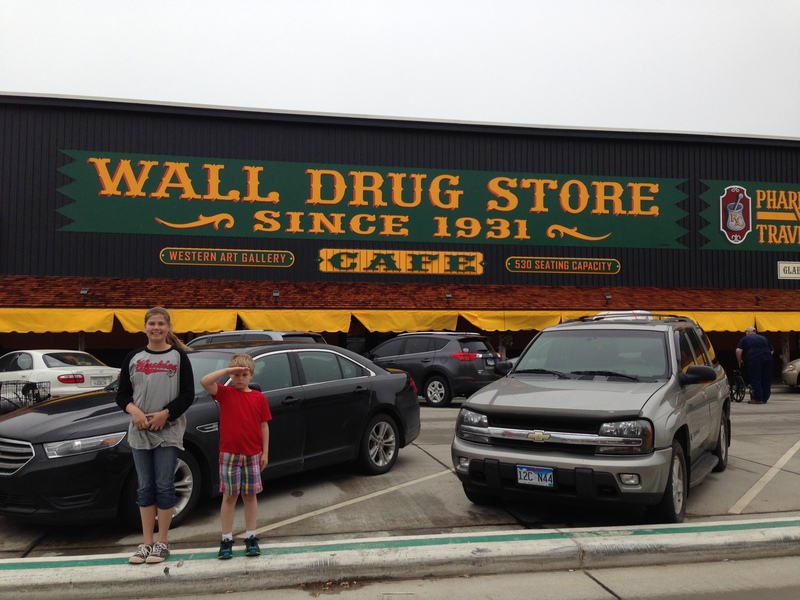 The kids LOVED Wall Drug and I have to say I enjoyed it also. 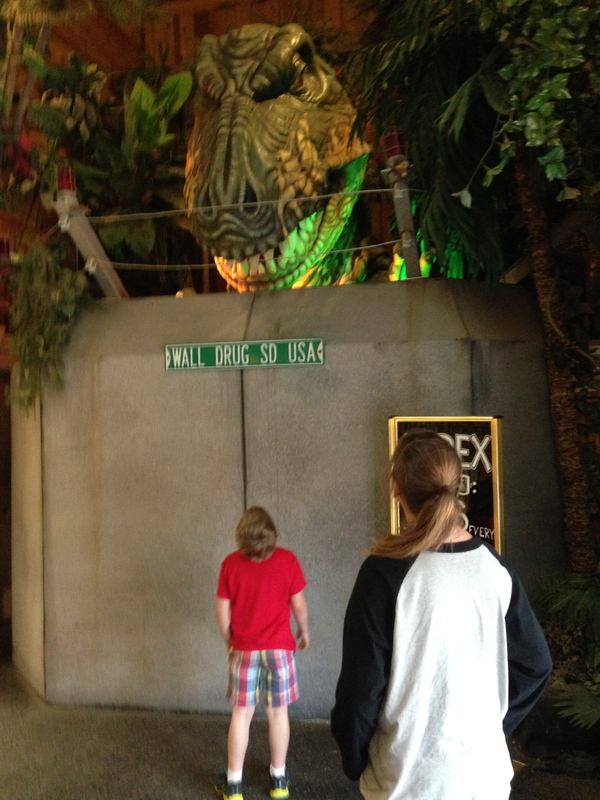 It was a fun place to see and explore. 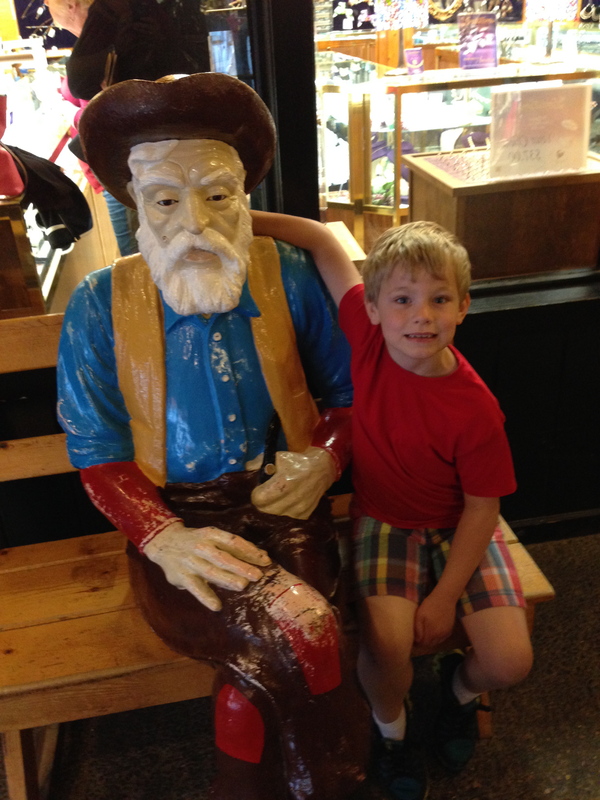 I learned later I missed half of Wall Drug but no worries we stopped again on the way home. 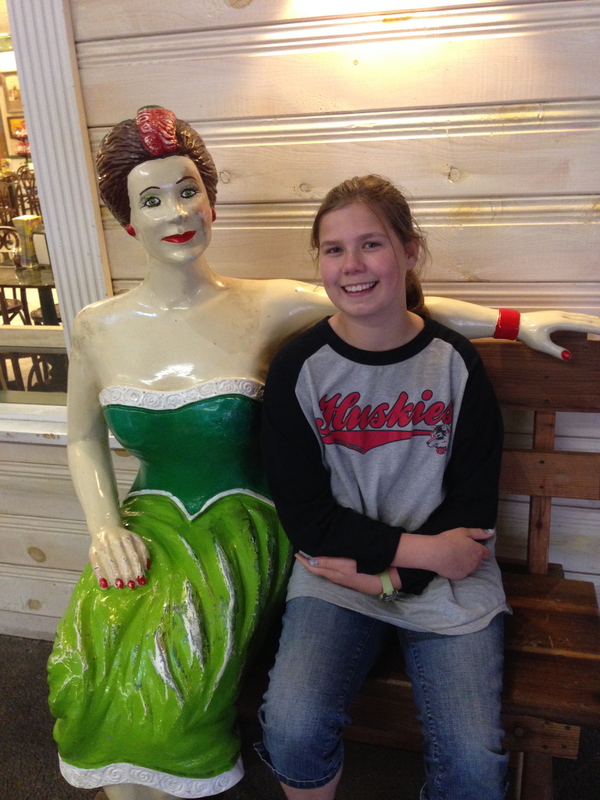 We had a lot of fun in Wall Drug. We of course had to take a picture with about everything. We had some free water, and panned for gemstones. 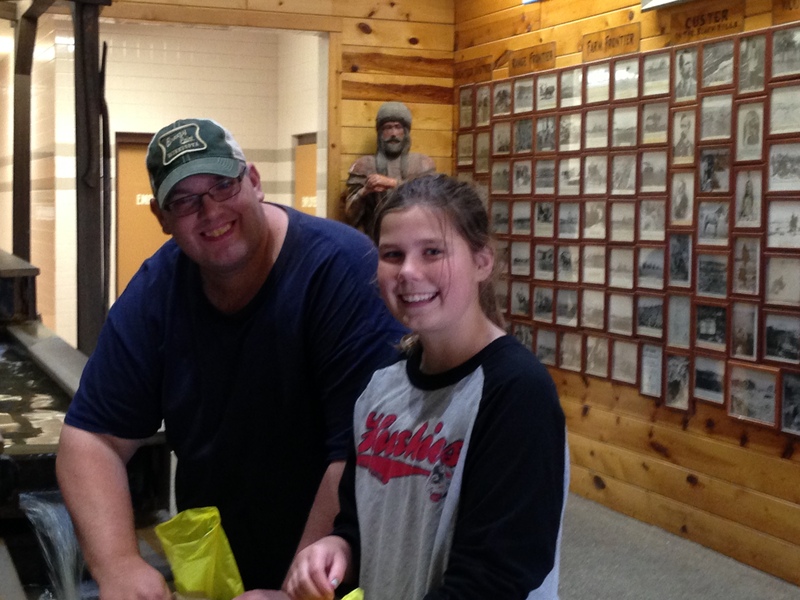 Greta and Chad panned in a little stream and found some emeralds and a Ruby they were told. 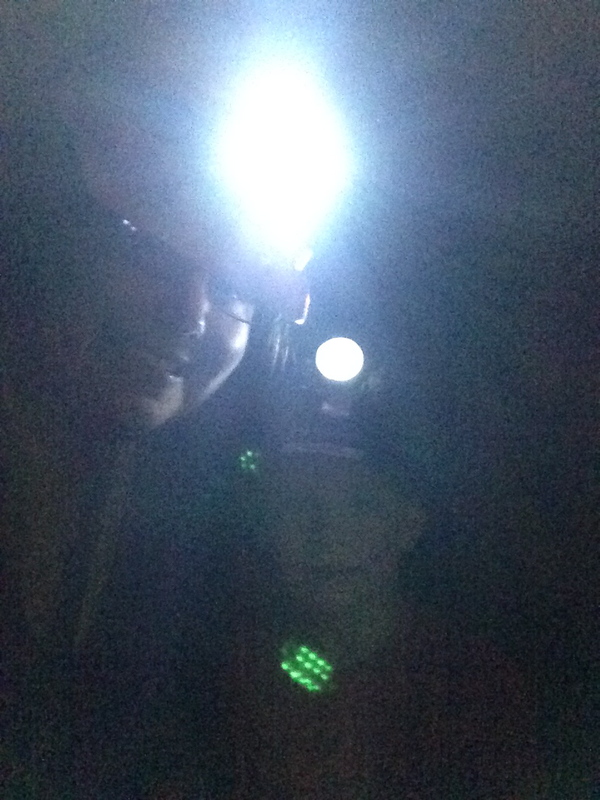 Henry and I went into a very dark little mine and had headlamps and looked for polished rocks and fools gold. 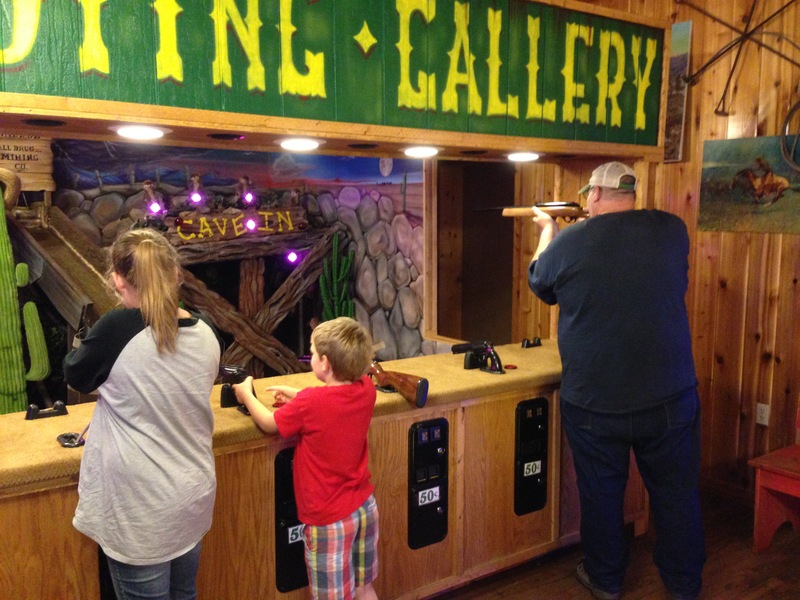 It was fun and a little special time with each child. 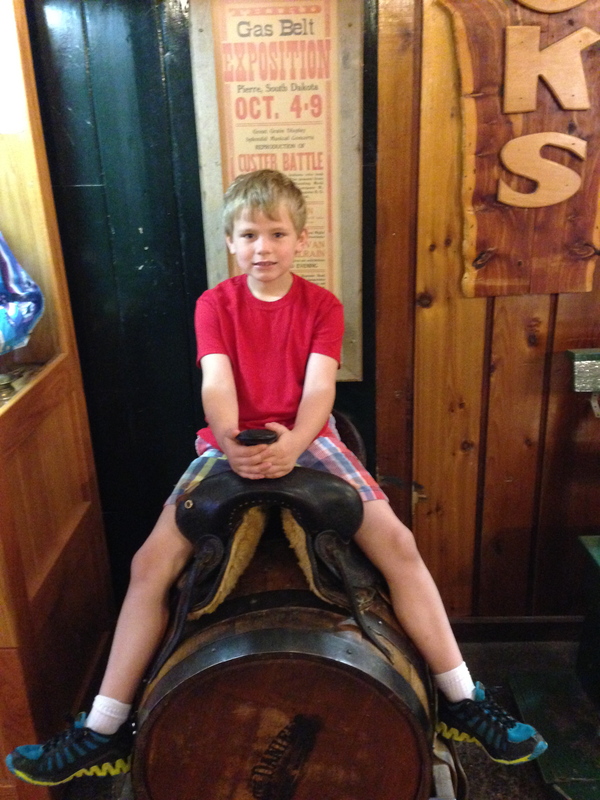 While shopping Henry bought an ultimate grab bag. 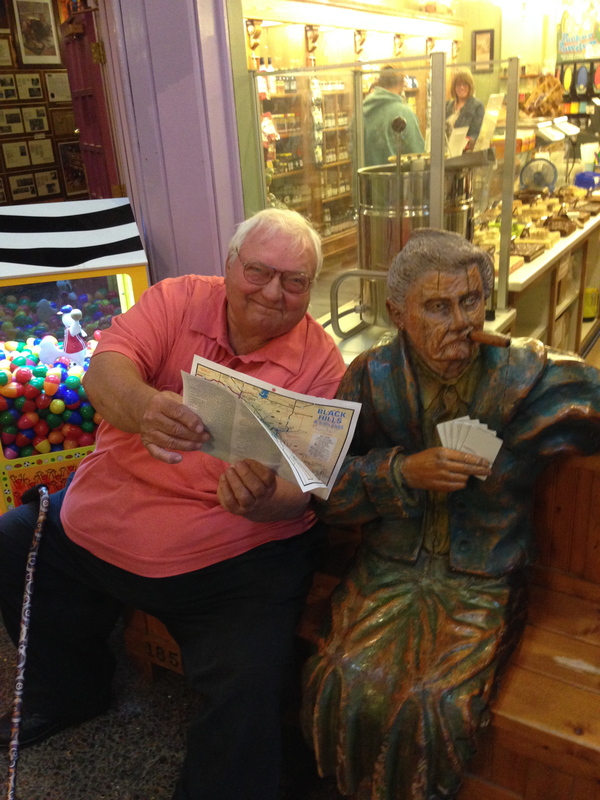 For $10 he got tons of stuff. 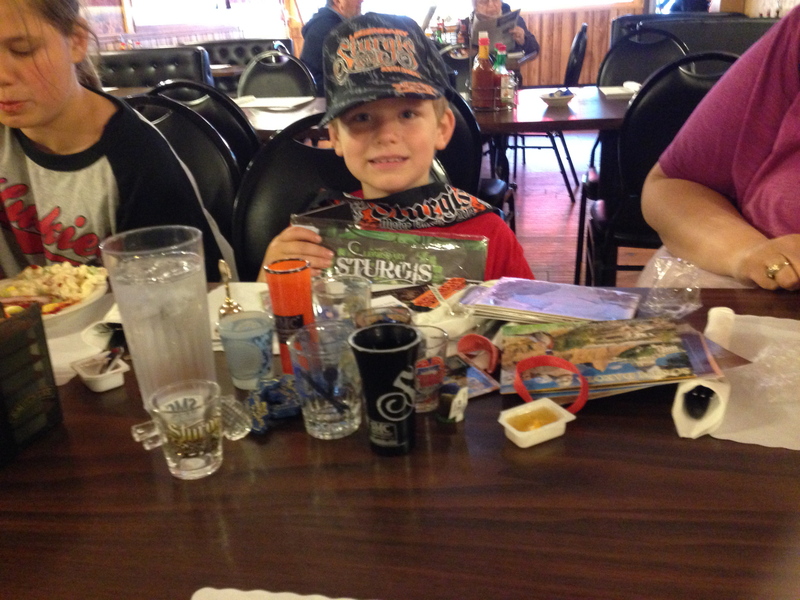 Everything from a Sturgis hat to shot glasses and t-shirts. He got well over $100 worth of items in that bag. I think that is a highlight for Henry looking at everything in that grab bag it was nuts. We were back on the road again. 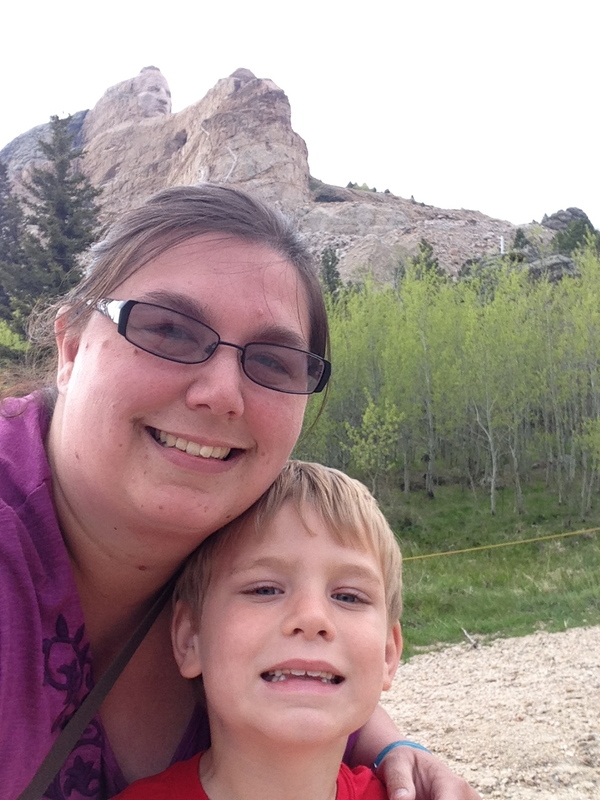 We were headed towards Rapid City. Stopped at a wayside rest stop and decided to head towards Keystone to stay for the next couple days. We drove through mountains and hills and when we entered Keystone I was in love. 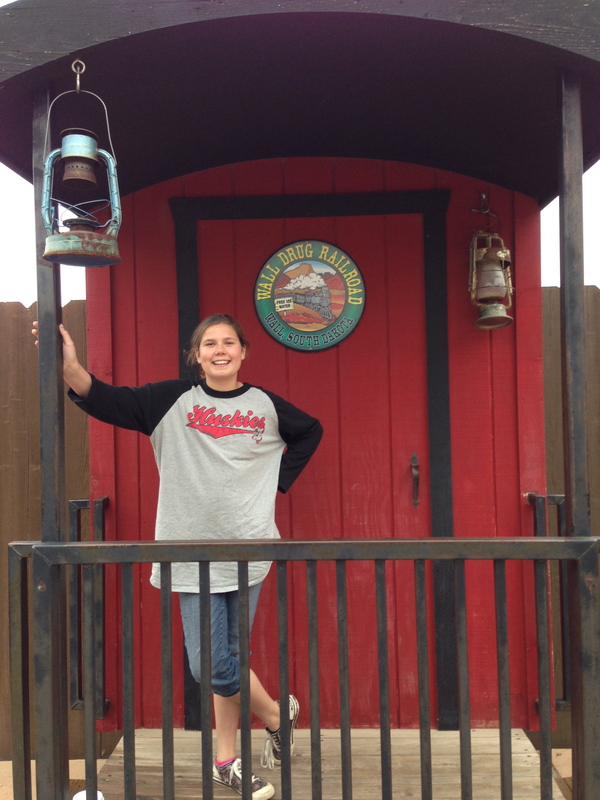 It was a beautiful town and just seemed like a magical place. Little shops on a boardwalk and it was just lovely. 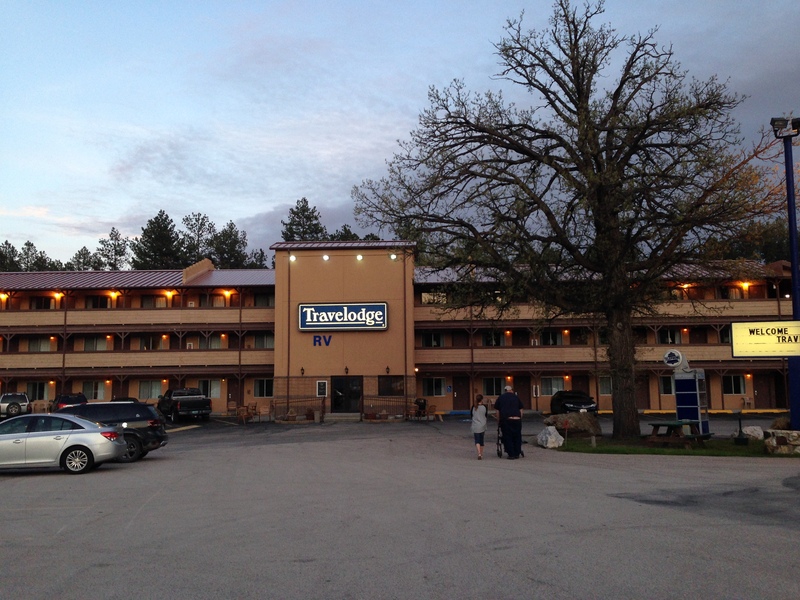 We found rooms at the Travelodge. 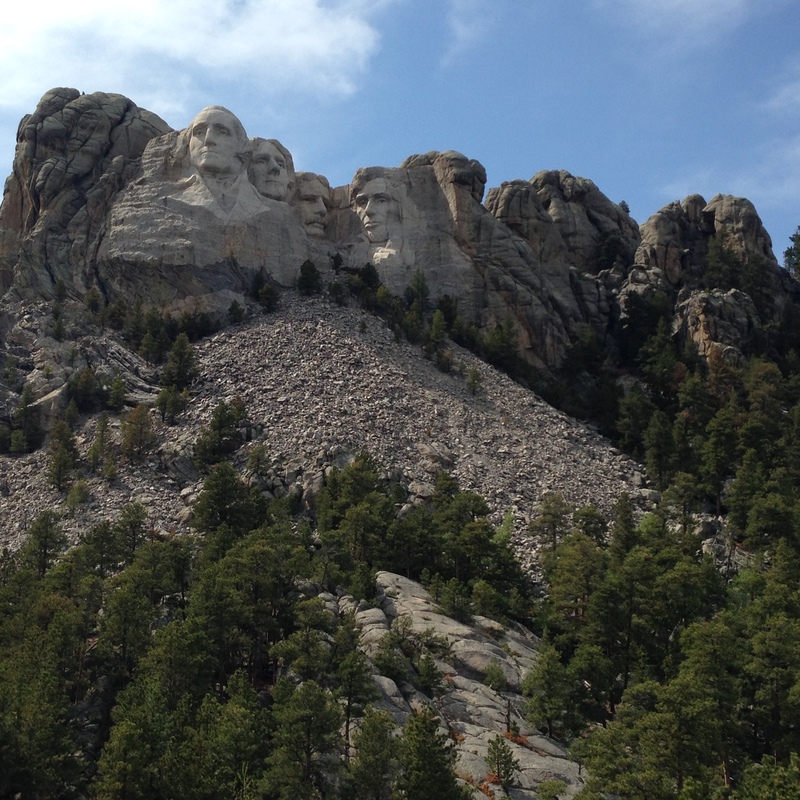 Greta looked outside our hotel room doors and exclaimed there is Mount Rushmore. Sure enough the mountain was there in plain site. I was getting excited. We made it we are here and it is more beautiful than I ever imagined. 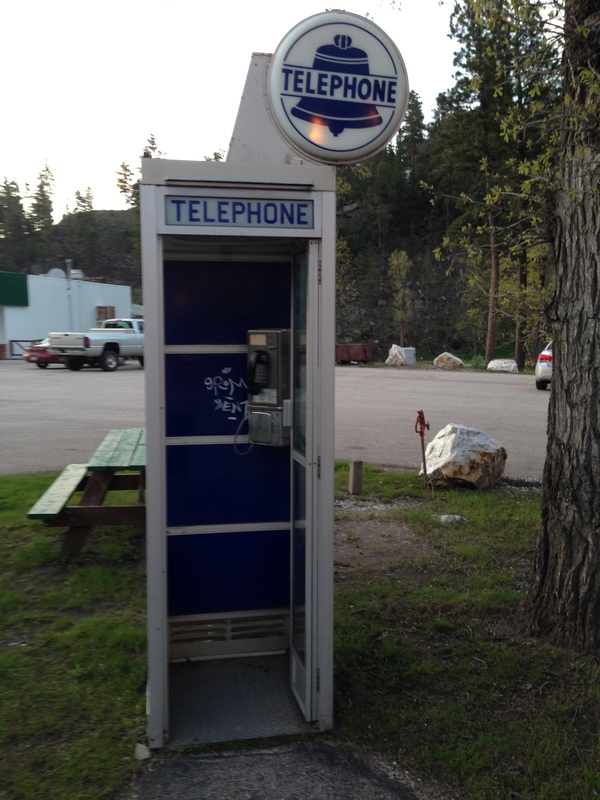 Our Hotel had a phone booth, I don’t think the kids knew what it was. I find little things like that funny something that seems so ordinary they don’t know what it is. The world is changing and fast. We were excited to see and explore. 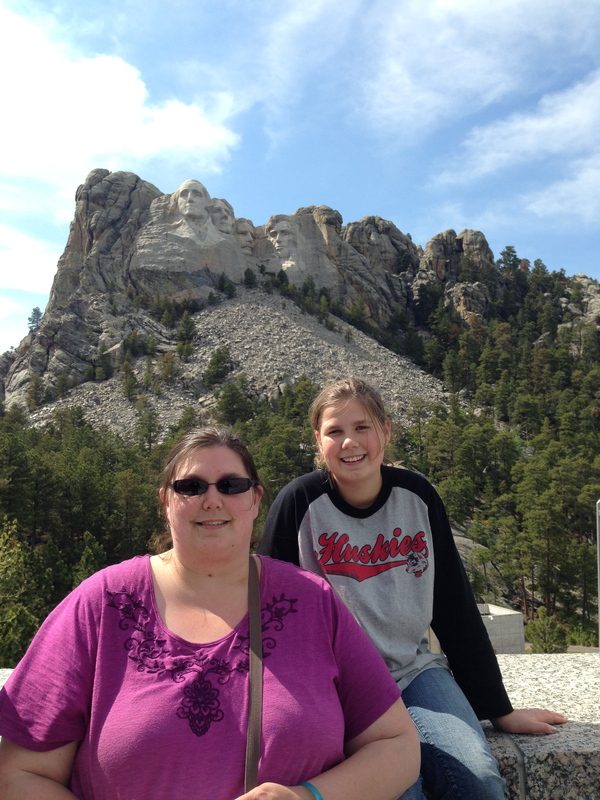 We wasted no time and went right to Mount Rushmore a National Monument. It was amazing and a very nice park. It wasn’t crowded at all. The kids could wander and check it all out since there were only about 20 people or so up looking at the mountain. 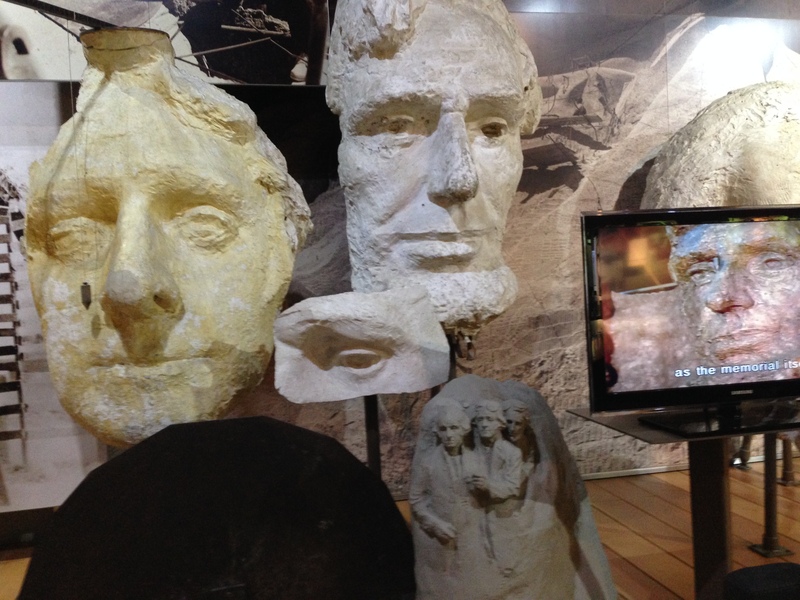 They had a nice museum and a movie that we watched about how it was carved and what they used. 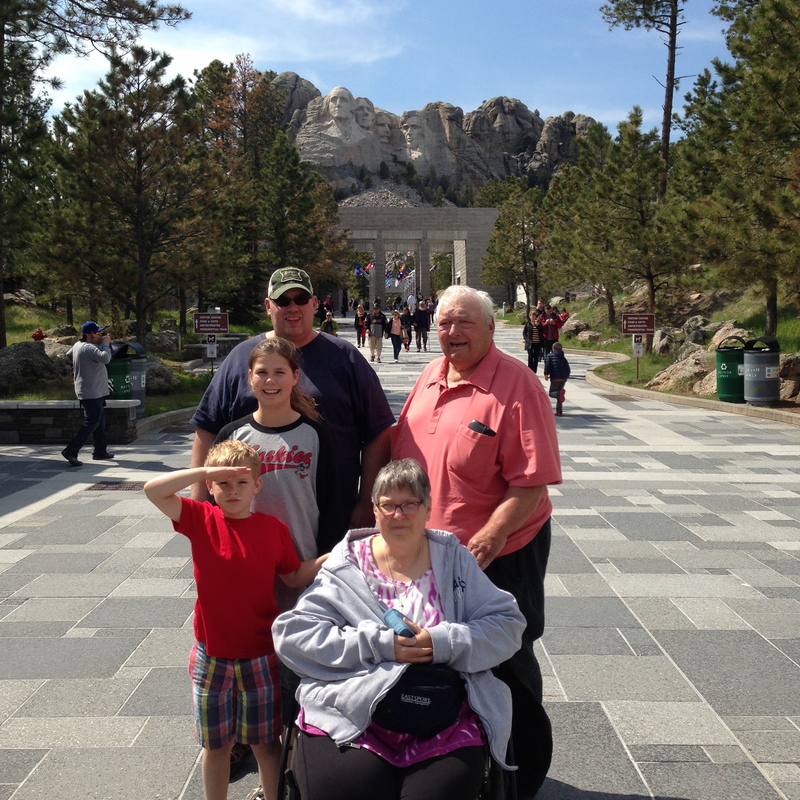 We finished up with Mount Rushmore and we decided or I guess I suggested we go to Crazy Horse. 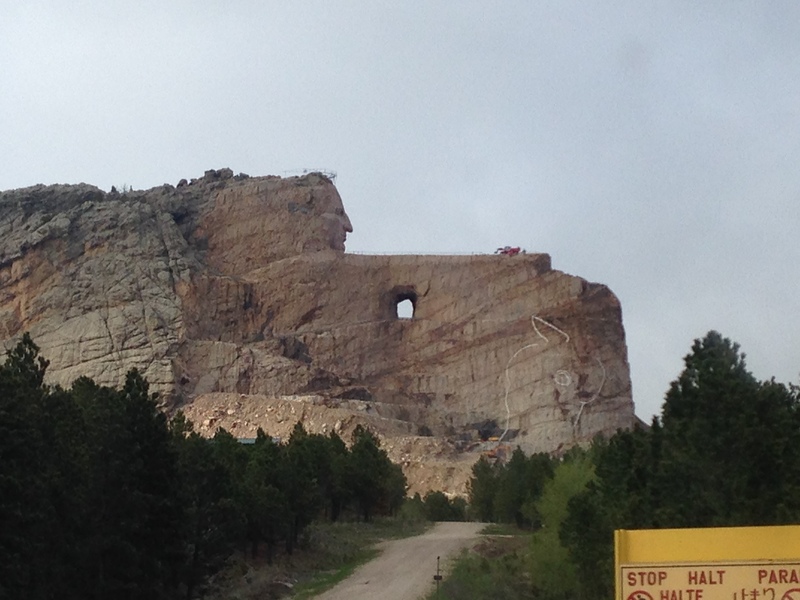 So we rounded some mountains and came to Crazy Horse another mountain that was being carved. I was in awe of this mountain and this project. 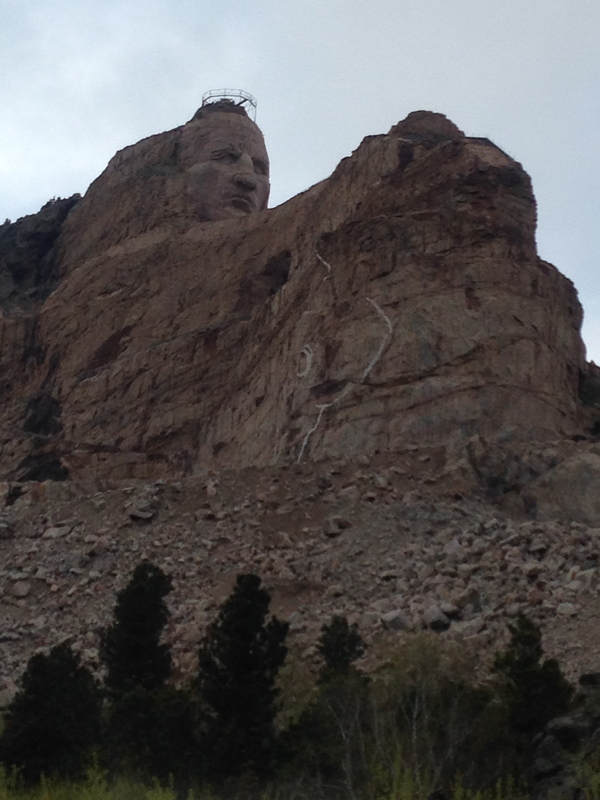 Crazy Horse really made an impression on me. 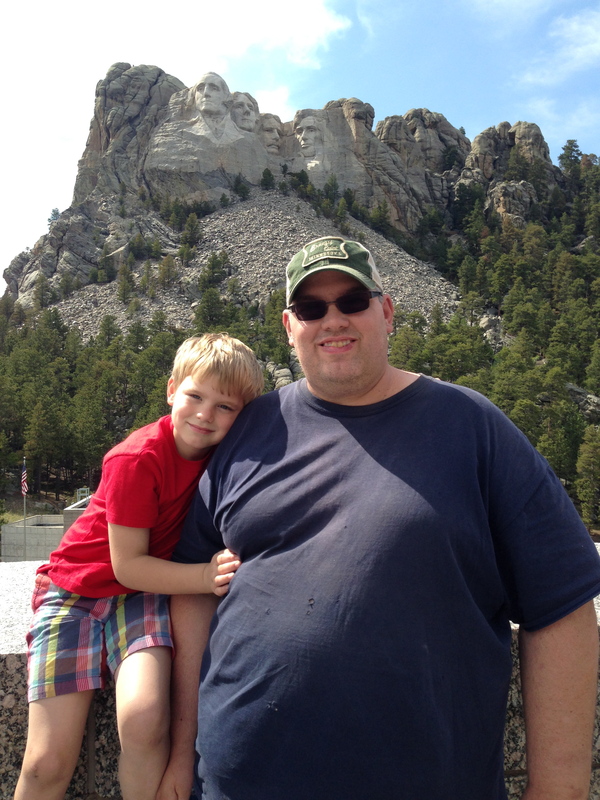 I really enjoyed this part of our trip and it is a highlight from my trip. I think a big plus to Crazy Horse is the movie we went to see which talked about the vision and the project of Crazy Horse was Captioned. I got everything out of the movie and I loved it. 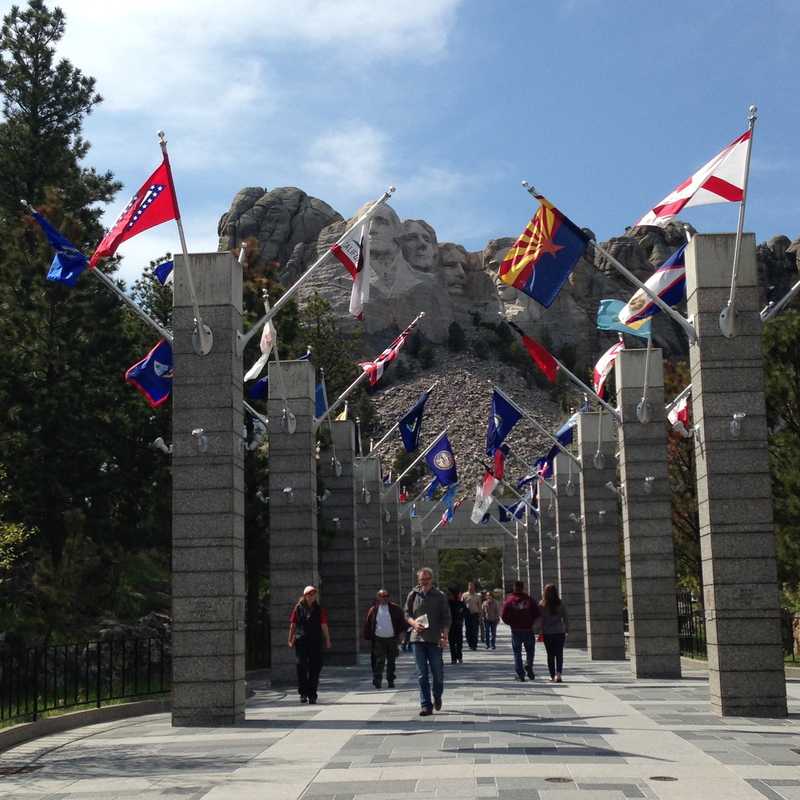 When we were at the National Monument of Mount Rushmore the movie we watched was not captioned and that is government owned. I was shocked by this but that is another topic. 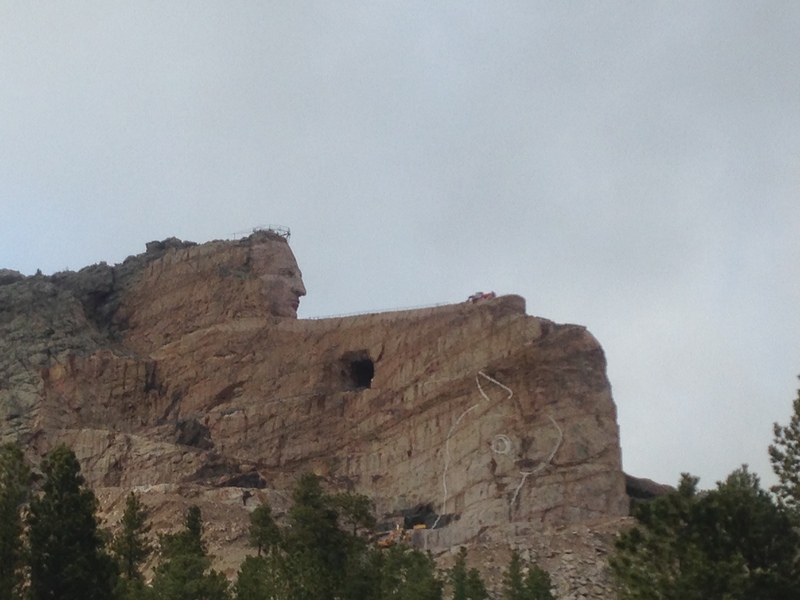 We could pay a small fee and go right to the base of Crazy Horse. 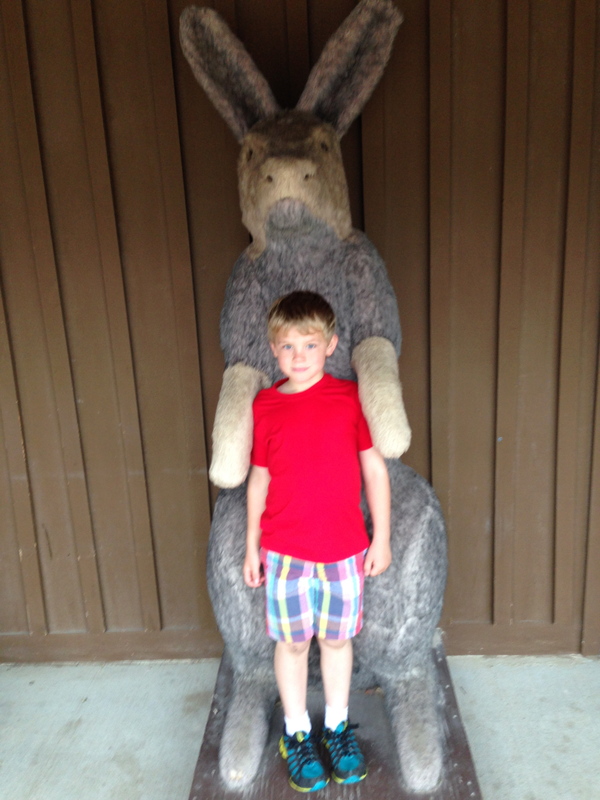 Henry and I decided that we would do this together. 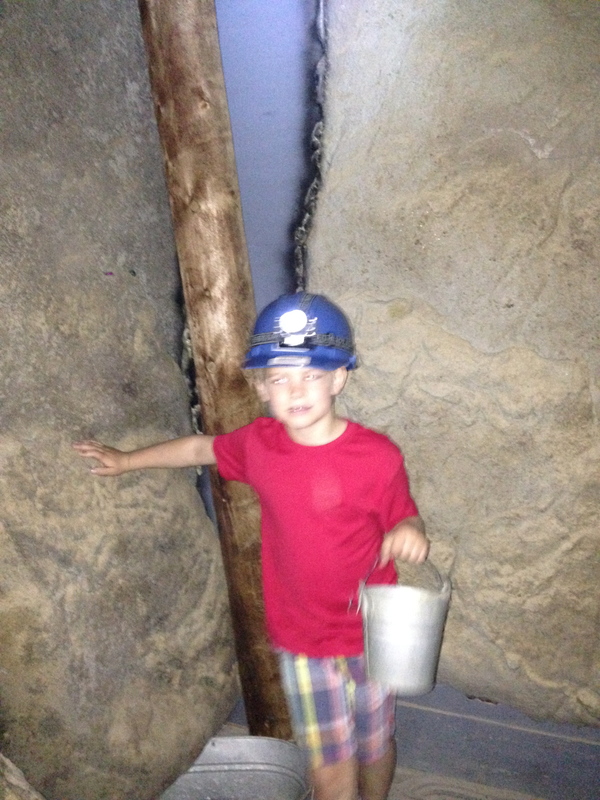 I love that he wanted to do this and he learned so much and was glued to our tour guide. He also had to point out to me that our tour guide had hearing aids also. 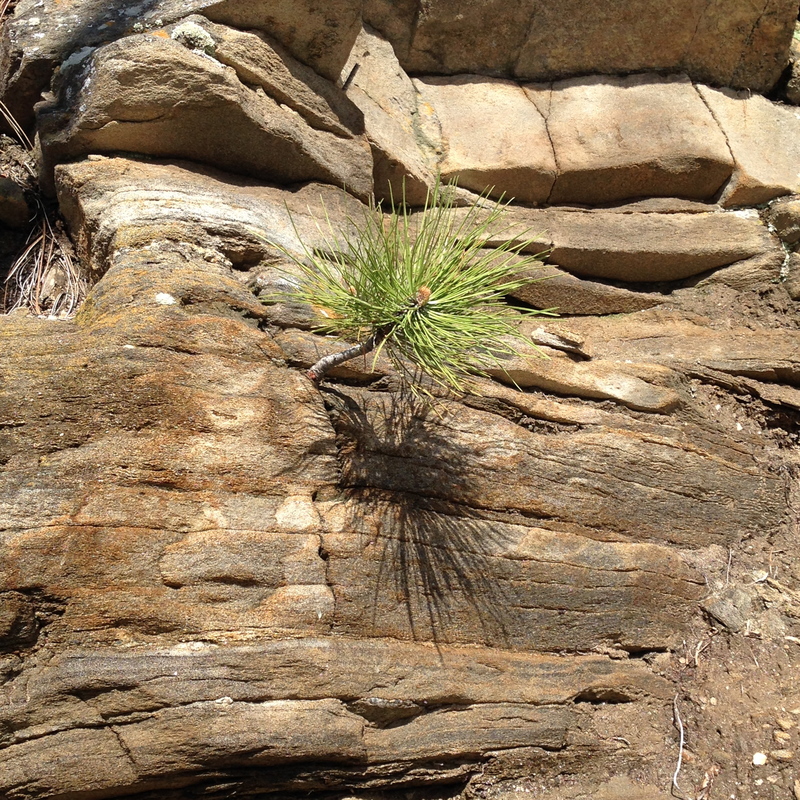 We got to go right to the base of the mountain. 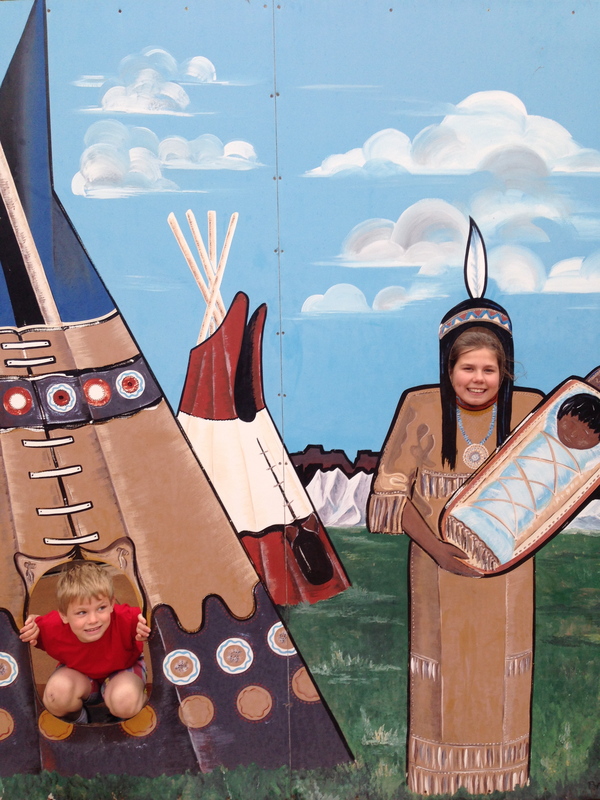 We heard so much history and saw so much and a beaver. It is a memory I won’t forget anytime soon. Back from each mountain it was dinner at a restaurant that was right across from our hotel and off to bed. I think as soon as our heads hit our pillows we were asleep. Day 3 would bring mountains and wildlife.